Veronica currently holds the position of Clinical Analyst for a cardiac telehealth company. Prior to accepting the position of Clinical Analyst, Veronica formerly held the positions of Cardiac Technician Level II, Clinical Educator and Manager of Clinical Education for the same company and is the recipient of the credential Certified Cardiovascular Technician. She has held many client and employee facing positions and has been responsible for training and education in many of those positions throughout her career. She has a natural connection with people and easily builds rapport with her fellow instructors and students. 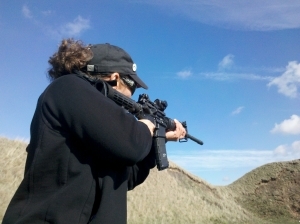 She is the mother of 2 boys and has been training with DTI and Fortress Defense since 2011.